What does the word "gatefold" mean? Sure, I know what it is (the whole internet is very eager to tell me what it is), but where does it come from? The "gate" part that is, I can guess the "fold" part. But I can't find any sense of the word "gate" that would pertain to a way of folding paper. Regular people call pretty much all of those foldouts, but bookmakers use gatefold as a particular term of the trade. The simple reason that it’s called a gatefold is because it folds out like a double-gate — that is, one with two separate “doors” where one opens to the left and the other to the right. 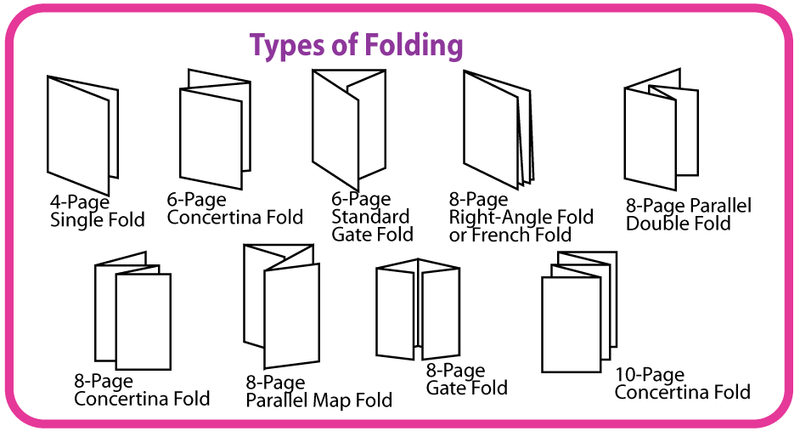 Like so many other kinds of fold, the gate fold is based on a parallel fold – i.e. where the folded edges run exactly parallel to one another and the outer sides are folder in one direction. As for the name, if you guessed that the “gate fold” (sometimes written “gatefold”) is called so because it opens a bit like a double gate, you’d be right. It’s also called the “window fold” for a similar reason: i.e. it is divided down the centre into two flaps which are “hinged” on the folds and can be opened out – much like an old religious triptych. On a six-sided folder, the two flaps fold over a flat, square side, but this square can also be folded down the middle to make an eight-sided, closed format. That page has many diagrams and examples of various kinds of foldouts. As the name implies, simply fold the page in half. Sometimes this is also called a gatefold, for example in the music industry where vinyl LP albums were often packaged in a gatefold cover. With a gatefold the two outside panels 1 and 3 each fold towards the middle. They are slightly smaller than half of the sheet. Notice there is just a single fold.